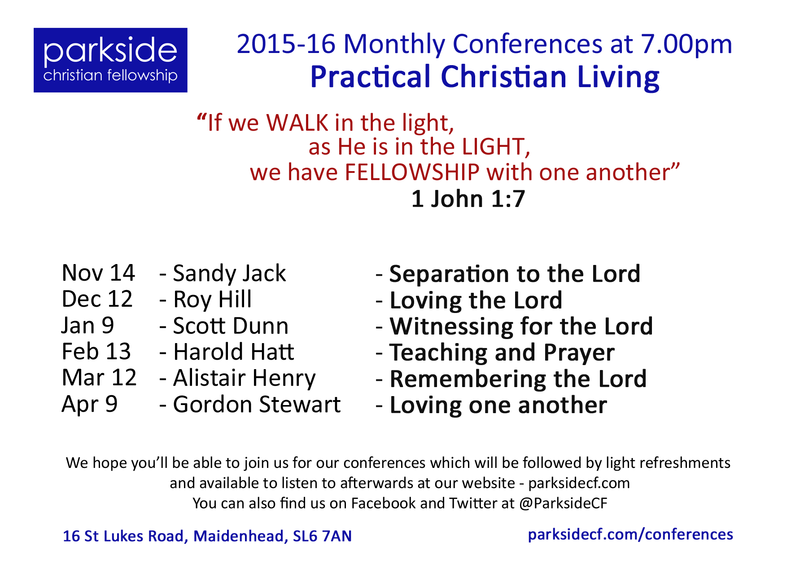 This year in our series of conferences, we’re looking at a series on Practical Christian Living. The full list of dates and speakers expected is listed below. You will be able to listen to the conferences at the bottom of this post and, when possible, we’ll aim to live tweet the conferences. Find us on Twitter here. We hope you’ll be able join us from 7pm on the second Saturday of each month and look forward to sharing fellowship with you. You are able to download the talks by right-clicking on the links below and selecting ‘Save link as…’. Alternatively, press the play button to listen directly from the website.